Google I/O 2012 has been simply phenomenal. We’ve seen major new Android announcements, a Nexus 7 tablet, new Google services and apps and updates regarding Google’s ambitious “Google Glass” project. We’ve covered everything else except for the very last part, which is what this post is for. We discuss Google Glass’s new features and availability after the jump. 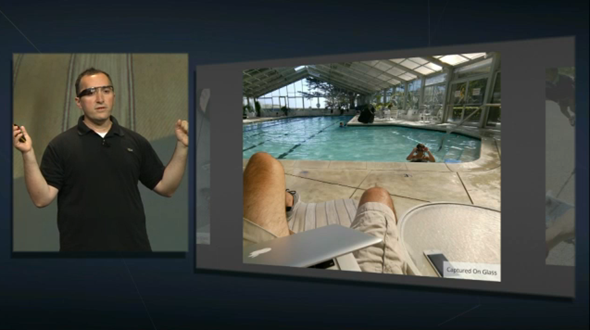 The Google Glass tech demo was undoubtedly the highlight of the Google I/O 2012 keynote. It is unlike everything I’ve ever seen in my years as a technology enthusiast and as a writer here at Redmond Pie. The Google Glass segment started with Google co-founder Sergey Brin running up on-stage wearing Google Glass eyewear. The view then quickly changes to a bunch of professional skydivers getting ready to jump from an airplane 1 mile over San Francisco. All of them were wearing Google Glass eye-wear and, this is what blew our mind, are connected to each other and to Brin on the ground in a Google+ Hangout session so their flight down to ground is streamed live as it happens. After that, the view switched to bikers on the rooftops of Moscone Center, jumping from one building to another before finally entering the hall where the Google I/O keynote was being held. Brin and the bikers shook hands and the former even took a nice photograph from Google Glass. We’ve never seen a tech-demo as over the top as this! 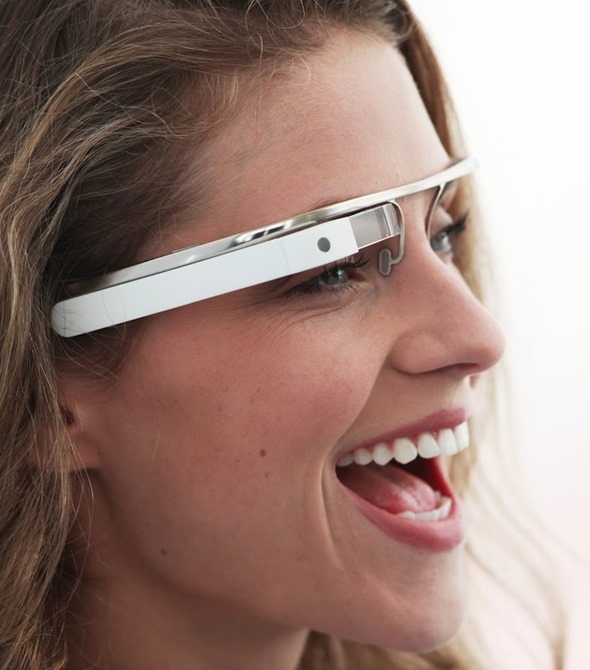 Google Glass is as futuristic a gadget we’ve seen in recent times. You wear it right above your eye; you can capture photos, videos, quickly search for information and, that’s about all Google mentioned on stage. It’s limited in scope right now, but the future, Google believes, is bright and the device itself is “incredibly compelling”. A small group of people were working on the project, so they couldn’t try out too many different things but that’s where developers come in. In the hardware department Google Glass is loaded with sensors such as a compass, an accelerometer, a gyro and all the data handling happens wirelessly. 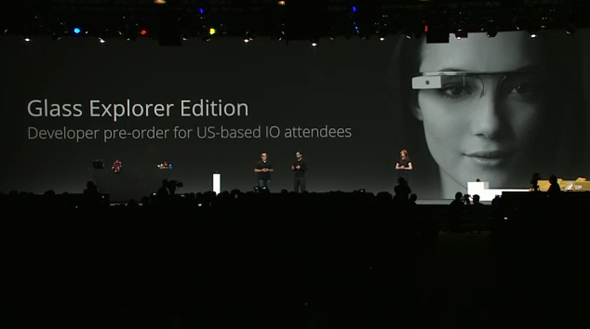 Google has announced a Google Glass Explorer Edition for US-based Google I/O attendees. It can be pre-ordered for $1500 and will be shipped out next year. Other, normal people like you and me will have to wait a while.